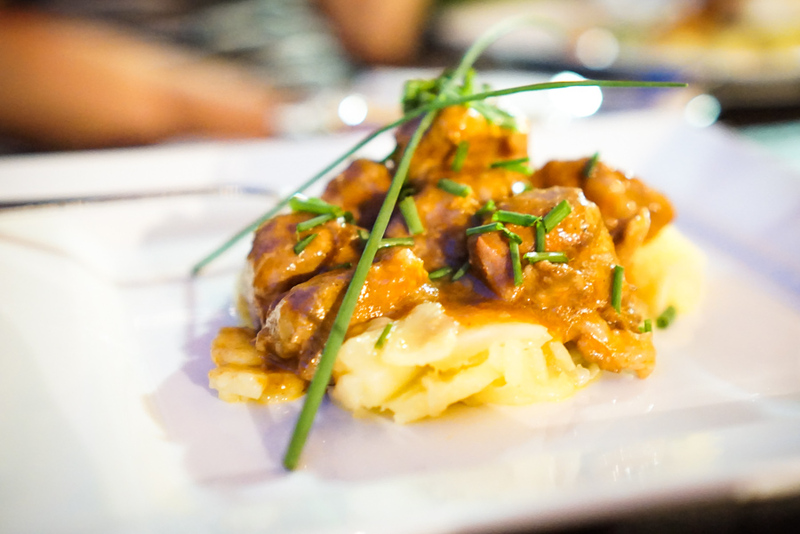 For us, food is an integral part, often times the sole purpose, for why we travel. We love to eat and explore a new place and different culture through our stomachs. It’s especially gratifying to be able to experience food in a different way too: cooking classes in Thailand, street foods in Rio, food tours in New York, even Michelin splurges in Napa — you name it, we’ve tried it. Dining abroad in some stranger’s home alongside unfamiliar faces, however, is something I’ve wanted to try ever since G told me about EatWith. EatWith’s concept is simple: eat dinner with friends, both old or new, in someone else’s home be it in your home town or when you travel. Like a dinner party! Naturally, we’re always up to try new things and having someone else cook us dinner while we wine and dine with new friends just seem like a win win situation. It’s also a nice break from having to choose a restaurant and dine with each other all the time. 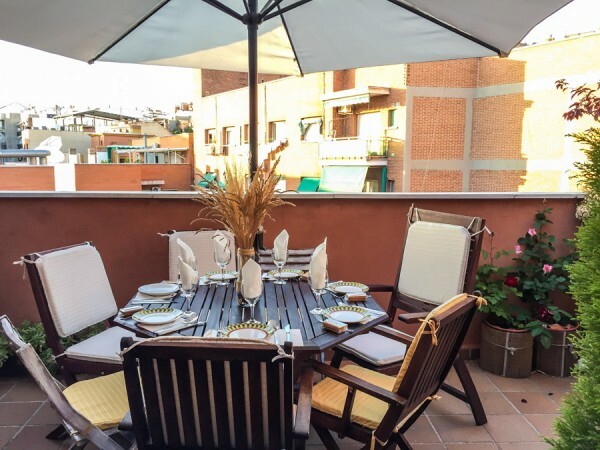 NOT that there’s anything wrong with dining with just G… (blush) Plus, I was curious to see what it’s like to live in Madrid, how the locals, Madrilenos, live day to day. 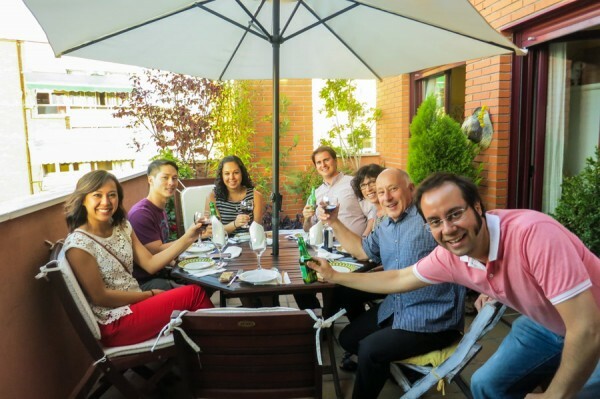 So, on our 3rd night in Madrid, not knowing what to expect, we nervously but equally excited, made our way to Elena and Virilo’s apartment, empty stomachs in tow. My butterflies quickly dissipated the moment they opened their doors with open arms, a huge smile on their faces and wine in their hands. My kind of people. Their place is adorable, a cute 1-bedroom apartment furnished in hues of amber and white with pops of colors emanating from Elena’s original paintings on the walls. On this gorgeous summer’s day and night, we, all 6-of us in total, got to dine outside on their patio. 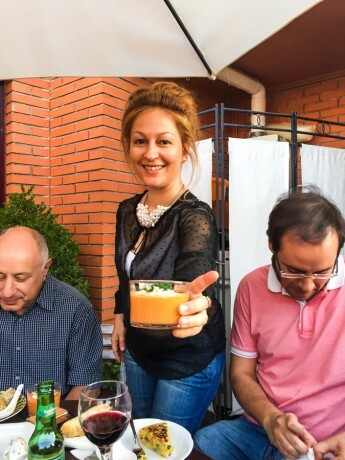 Meet Elena, our Madrid’s EatWith hostess with the mostest handing me a cup of salmorejo — a tomato and bread concoction, pureed with olive oil, garlic and vinegar, garnished with jamon (yum!) and diced hard-boiled eggs. It’s kind of like gazpacho, but not really. And that’s Virilo, pink polo on the right, her partner in crime and co-host extraordinaire — he speaks English, she doesn’t, and translate and entertains us with stories and endless Rioja wine while she weaves in and out of the kitchen, joining us here and there for small talk. She says she does this because she enjoys cooking and entertaining people. I would imagine it’s also a great way to learn English too. 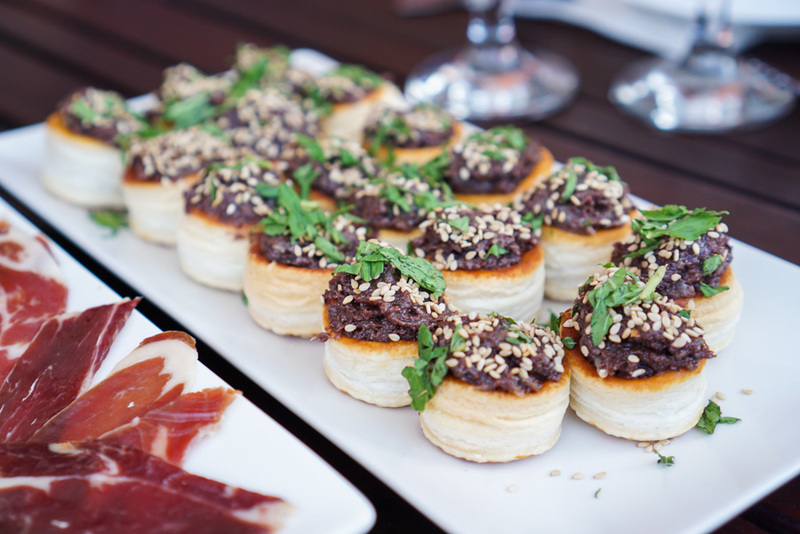 I could not contain my exciting and curiosity of all the deliciously foreign appetizers being served to us. 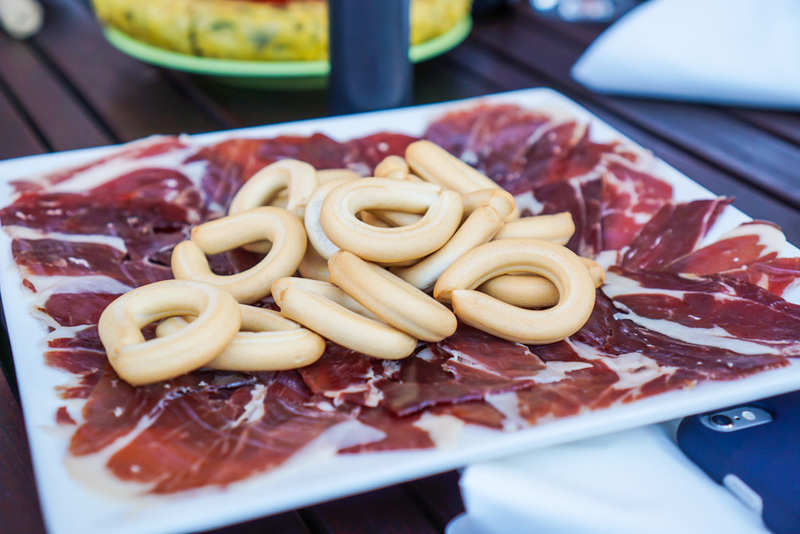 Iberian ham and picos, mini bread sticks essentially, are just about the only thing we were familiar with and love, absolutely LOVE. I can eat this stuff all day, err day! 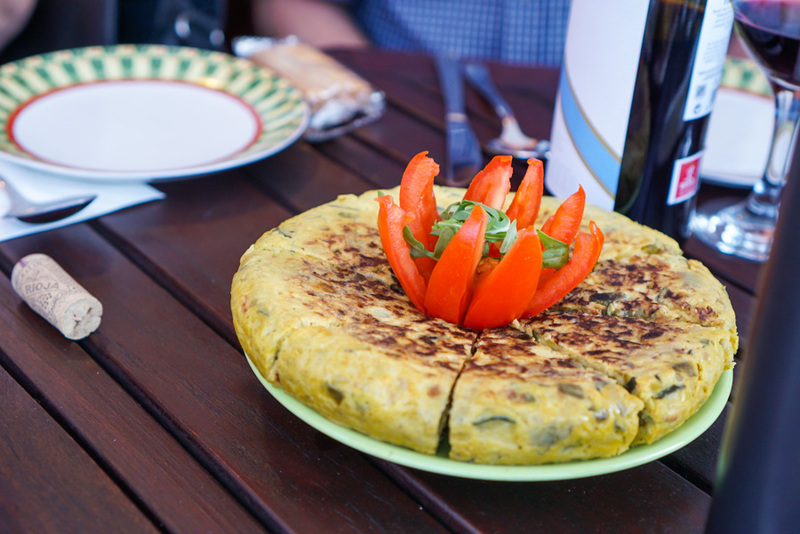 The rest is new and delightful: tortilla Espanola or Spanish omelette, some savory concoction on puff pastry, funky cheese that smells like hell but taste like creamy brie heaven. But my favorite of starters, are the little spoonfuls of chilled potato salad with shrimp! You can see my plate, bottom right hand corner, has TWO spoons on there. I couldn’t resist. 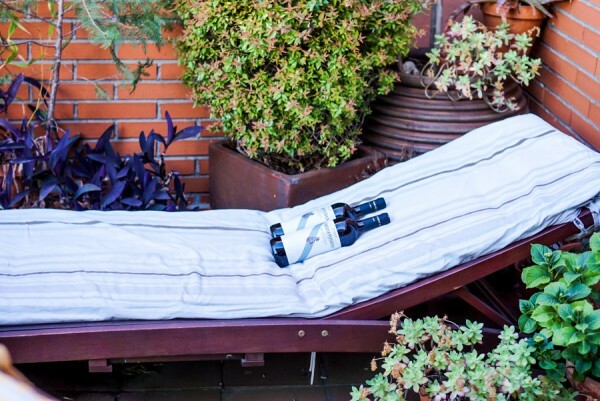 Even wine needs a rest. They take their Rioja very seriously here in this household. In fact, I am pretty sure we each killed a bottle of wine by the time dinner was over. By the time the entree came around, I was stuffed. Check out that presentation though, right? You’d think you’re dining at a fancy restaurant and not somebody’s house. To be honest, the fish was ok, a little on the cool side, but the meat was good. Not restaurant good, but home-cooked good if that makes any sense. However, I wouldn’t mind trying her seafood clam dish and paella next time we’re around. That’s the luck with changing menus, I guess. Here’s the thing. On any given trip to Spain, or anywhere in the world for that matter, we probably would not have ordered these dishes at a restaurant, the traditional-local-everyday-typical-fanfare food. We typically forgo those in lieu of something exotic and new and different, maybe even expensive. So it’s refreshing and a treat to be able to taste, and I do mean taste, Spain this way. It feels authentic and home-y (is that even a word?) and much appreciated especially when you’re far from home. “This is a technology platform that brings people together. 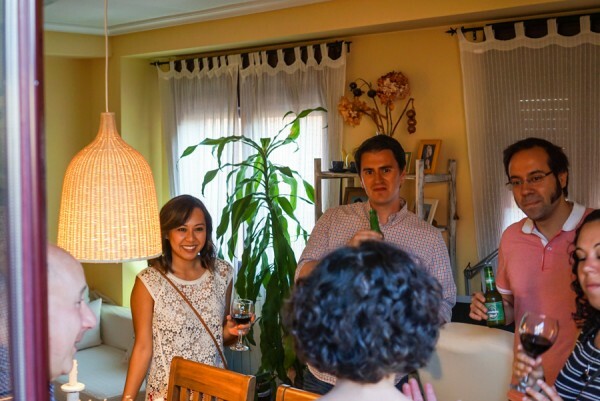 Sharing a meal, sharing stories, sharing laughs with new people in someone’s house is deeply personal, authentic, and intimate… it also happens to be the original social network.” – Simon Rothman, Partner at Greylock, EatWith Board Member. I love this quote. It really does capture what EatWith is all about, what we’re all about. 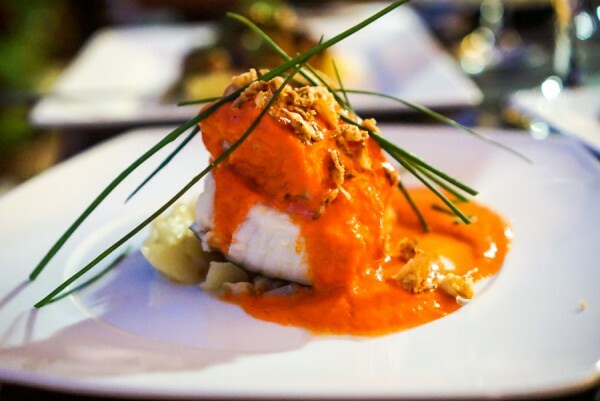 When it comes to travel and experiences, food experiences in particular, the thing that excites me the most is getting to try something different, meet new people, share stories and laughs over good food, good wine and good company. 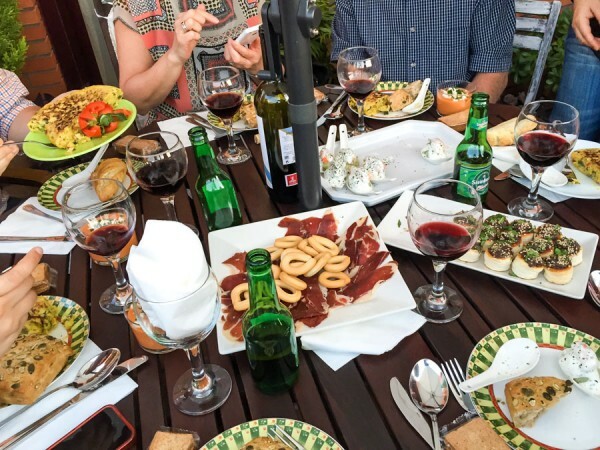 What city would you like to join a dinner party with the locals? Disclaimer: A very special thanks to the wonderful people at EatWith for this delicious dining experience. As always, all savory opinions are our own. LOL! You’re always hungry. Barcelona would be a good one. You should try it on one of your stops, for sure.